With increase in Air Pollution, Global Warming & Global Dimming diseases are rising everyday. This makes it hard to breath in cities. The hidden molds in buildings & smoke cause toxicity of air and hazards for health. 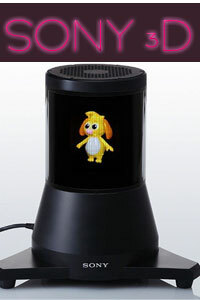 PuriFan is the perfect solution for house, school, hospitals, and offices. Purifan is a compact ceiling fan which gives comfortable airflow in all 360 degrees while purifying air. Microsoft unveiled an Adaptive Keyboard prototype in student innovation contest at UIST (ACM Symposium on User Interface Software and Technology). 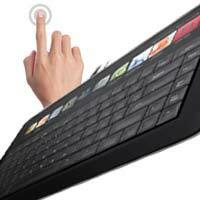 Microsoft's Adaptive Keyboards can detect touch as well as change their visual appearance. The adaptive keyboard is a prototype developed by Microsoft Hardware researchers to make users more productive. On top of the keyboard, there is an LCD touch display panel/strip. Along with that keys are also touch display allowing visual appearance of keys to be modified in real time. If you ask what is the advantage of Blu-Ray Discs BD? The answer is 3D and High DefinitionSamsung BD-C8000 1080p Blu-ray Disc Player Samsung BD-C8000 1080p Blu-ray Disc Player HD videos. Because With Rise of HD and 3D content scientists realized that the existing storage wasn't enough. 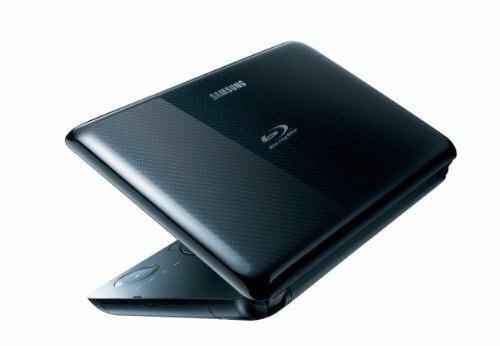 Recently Samsung unveiled world's first portable Blu-Ray player with full 3D capability. This Portable BD players is perfect for 3D entertainment on Go. We got some good news and clues about the new IE9 beta from Software Giant Microsoft. According to the officials Microsoft is inviting a group of VIP developers, designers, bloggers, media and press to an event holding at Concourse Exhibition Center in San Francisco, California on September 15. The event is to celebrate the Beauty of Web and announcement of Launch of Internet Explorer 9 Beta. After Sprint Network Boost Mobile launches Samsung Seek, CDMA-X series. Samsung Seek is Boost Mobile's first touch screen phone with a slide out qwerty keypad. It's designed for easy access to multiple messaging, social networking, voice, text messaging (SMS), Web, e-mail, IM and more. With Boost Mobile's unlimited plan this phone can best suit web junkies. Girls should also check this out, it's also available in their favorite color. Recently The leading international environmental NGO came into buzz by releasing a controversial flash game "Turtle Vs Tata". Tata Sons took Greenpeace India and International to High Court and filed a defamation of damage of Rs 10 crore in infringement of Tata's trademark and which maligned the reputation. 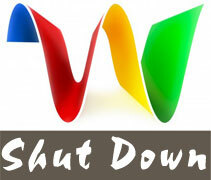 Besides the primary use which is mailing emails are widely used as an identity to access various web services. To register or sign up for networking sites, forums, for downloading software you use your email ids, hmm which are enough to fill tons of spams in your inbox. So should you give your original email id? Let's seek for an alternate "Melt Mail". Melt creates a temporary email address and forwards emails to your original one for the specified time period. Know how Melt Mail can make your virtual life easier. Sony, the largest consumer electronic manufacturer also known for it's innovative products, has played a vital role in bringing 3D vision to reality, from the installations and broadcasting of 3D live Fifa world cup matches to smallest portable 3D cameras to 3D TVs. This adds more because Sony developed a new 360 Degree 3D Autostereoscopic Display codenamed RayModeler which requires no special glasses for 3D viewing experience. Checkout more to see some inside story and also watch this video.